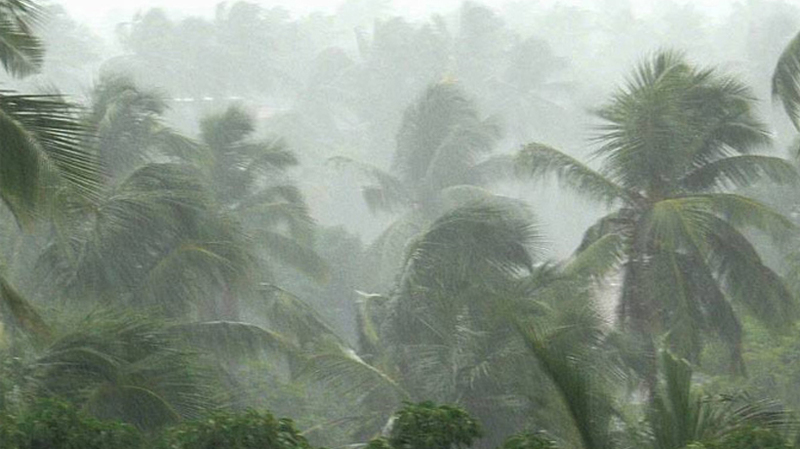 Kochi: A total of 11 persons were killed at different places in the state following heavy rains until today. An 8-year-old child Akshay died when a tree fell on him at Pathanamthitta. In Thiruvananthapuram, a person was electrocuted when he came in contact with a snapped power cable. Three persons each died in Thiruvananthapuram and Kannur two in Kasargod, one each in Kozhikode, Alappuzha and Pathanamthitta. The weather office has predicted more rains until Wednesday. The respective collectors of districts on hills including Idukki, Waynad and Kottayam have advised public to avoid night travel through mountainous roads. Idukki collector has announced holiday for all educational institutions except professional colleges. Landslip was reported in Rajakkad in Idukki. A newly laid approach road was destroyed in Mananthavady.